Did you know that every Baggo game can be customized? Impressions Count has the unique ability to manufacture custom prints and put them on the face of the game boards so that you can customize your game with your favorite logo, design or photo. Already have a Baggo game? No problem, you can order custom artwork to upgrade them to the look you want. Impressions Count has two full time graphic designers that specializes in logo design and business branding. Our entire mission is to make your business look great. That means giving you custom design that’s affordable, fast, and hassle-free. 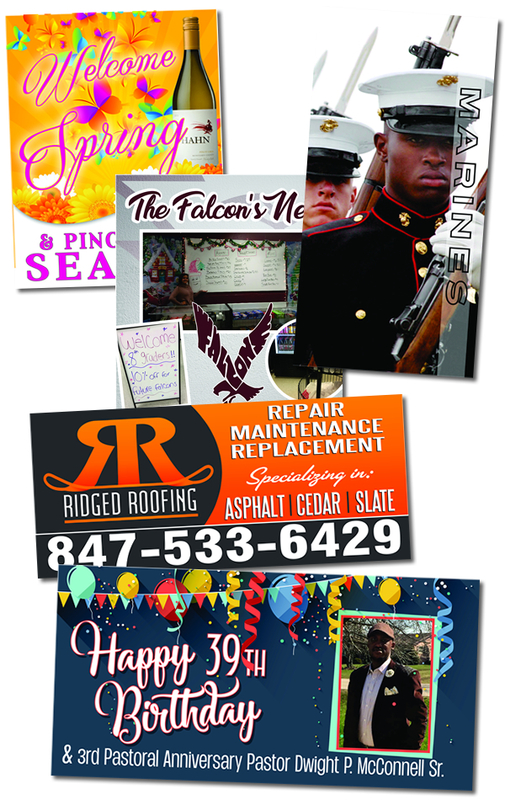 Impressions Count Printing, Signs, and Apparel is your full service marketing partner. We offer a wide variety of services from logo design to final print production, from billboards to employee attire. We do it all. Located in Antioch, IL for 28 years - we have the experience you need to create the image you are looking for within your budget. With over 70 years in the marketing field, our expertise will give you a unique perspective on different products, branding, and marketing concepts. Our Commitment to quality and customer service has been the backbone to creating satisfied customers. We are a environmentally friendly facility using soy based printing inks, eco-sol wide format inks, and water based chemicals. Throughout the years technology has driven our business to move quickly. Let us help you find the correct solution to your situation in a cost effective manner. Please feel free to call for a free quotation or to make an appointment. OUR TEAM IS WAITING TO BRING YOUR IDEA TO LIFE! We offer special pricing for Non-for-Profits. Copyright © Impressions Count Printing, Signs & Apparel All rights reserved.